It’s Friday night at the Town House Bar, the oldest LGBT bar in St. Paul. A single spotlight hits the stage as the beat to The Weeknd’s “Can’t Feel My Face” begins pumping through the speakers. 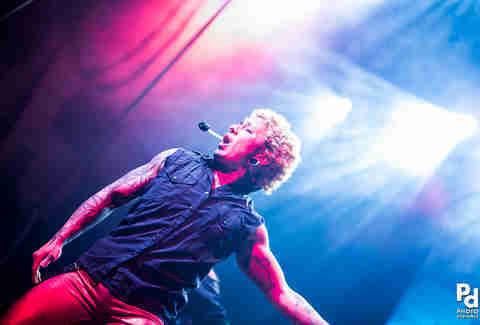 Suddenly, a performer all in white takes the stage and launches into a dance routine that makes the crowd explode. Soon, excited patrons are running to the stage to throw tips at the dancer, who graciously accepts their singles without breaking from the routine. The performer is Damien D’Luxe -- real name Emi Monson -- one of the premiere drag kings in the Twin Cities. 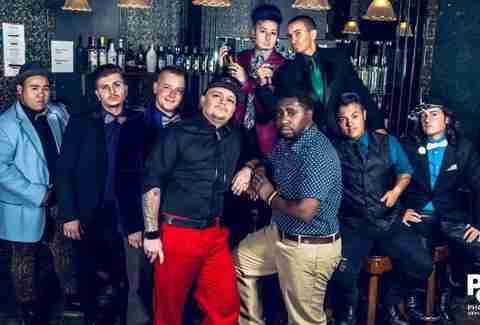 While drag queens and burlesque shows are booming throughout Minneapolis and St. Paul, drag kings have been steadily carving out their own niche and creating a ton of buzz both in the LGBT community, as well as with casual bar-goers. While drag is typically synonymous with the LGBT community, drag shows -- both kings and queens -- are becoming more of a melting pot when it comes to the crowd they attract. Kings can perform solo or as a member of a troupe, like Dragged Out. Monson explains that the drag king audience tends to skew heavily towards lesbian and trans fans, but a quick look around and you’ll notice plenty of men (both gay and straight), as well as curious straight folks who are interested in seeing the biggest, most impressive show in town. Monson has been in the drag scene since she was 17 years old, and has watched the art form grow in the 10-plus years that she has performed. At first, being a drag king was more about passing for another gender. In her early days, Monson said she often found herself performing alongside drag queens or burlesque performers, partly because of the crossover appeal, and partly out of necessity. Monson was in for a shock, however, when she learned that the show wasn’t exclusively for drag kings. It also wasn’t intended for newbies. While her initiation was less than warm, Monson was able to perform that night and found herself inspired to continue pursuing the art form. Soon, she would be performing in the now-defunct District 202, an LGBT nightclub for people under age 20, as well as Lush and the Town House Bar. In an effort to change that perception, this past year Monson began producing a monthly drag king showcase, Machismo, at the Gay 90’s, which allowed drag kings ages 18 and up to grab the spotlight. Sadly, Machismo was discontinued at the end of August, limiting the number of drag-king-friendly shows around town. Still, Monson insists that the scene is continuing to grow, thanks to an influx of new talent as well as an organic shift in how performers are approaching the art. She continues to co-producer the Dragged Out show at the Town House, keeping the door open for new and emerging talents to perform alongside seasoned veterans. As a veteran drag king, Monson often gets questions from younger kings about how to get ahead in the ever-evolving scene. 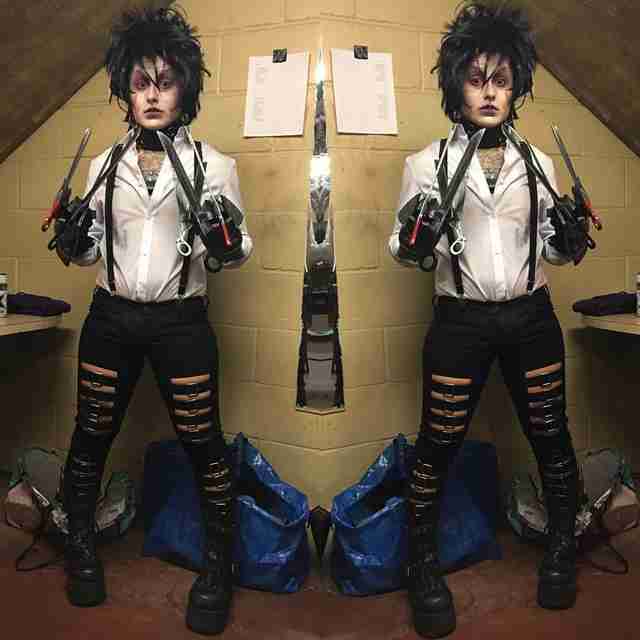 In Monson’s case, whenever she takes the stage as Damien she is constantly looking for ways to refresh her look and grow as a king, from theme shows where she’s performed as popular movie characters like The Joker and Edward Scissorhands, to a Hanukkah-themed holiday performance in July (Monson’s partner is Jewish, and she chose her performance as a dedication. Awwwww…). She’s gone so far in fact that she keeps Emi and Damien separated even in her own home. Wardrobe aside, Monson also has very strong feelings about her performance style when Damien enters the club. That mantra has served her so well, in fact, that Monson has managed to fool even her closest friends into thinking Damien is his own man. While her identity isn’t a secret, Monson insists that the division between Emi and Damien has to be very clear in order to protect the sanctity of the performance. Whether she’s Emi or Damien, Monson is excited about the future of drag kings locally, to the point that she keeps coming back to the stage. It’s safe to say that sexuality aside, drag king shows have become premiere showcases for the best dancing, lip syncing, and overall pageantry of any art form. That’s helping to ease the stigma of drag being “only” for those without inside knowledge of the LGBT community, or the underground arts scene as a whole. After all, is there anyone who doesn’t appreciate a good Edward Scissorhands-themed dance number? Patrick Strait is a writer, and not nearly a good enough singer or dancer to be a drag performer. Follow him on Twitter at @patrickstrait.